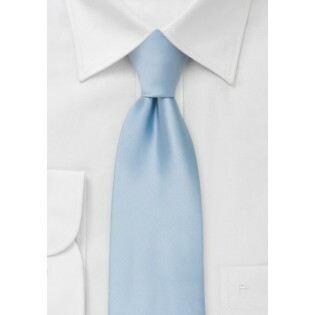 If your son's favorite color is blue, then he won't be able to say "no" to this baby-blue necktie. 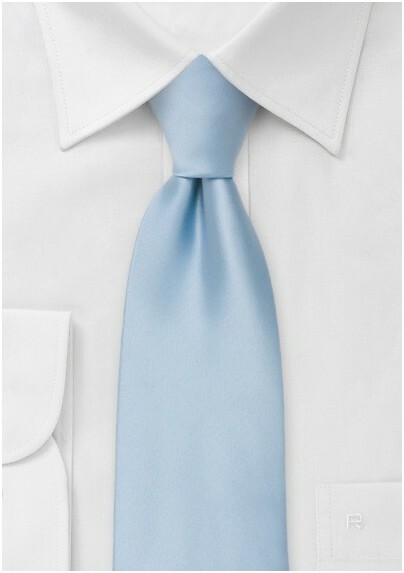 The bright blue color in combination this the solid color design will add a formal and trendy touch to any white shirt. Want to add even more class and elegance to your son's ensemble? Then we at Mens-Ties.com also suggest you add a matching light blue handkerchief to his breast pocket. We guarantee that his ensemble will be a show stopper!